According to the Wikipedia entry, BBC Radio 7 was renamed BBC Radio 4 Extra back in April. I’m not much for re-branding – it’s a grubby little idea that makes me think of scientific management, focus groups and meetings … endless … unproductive … meetings. The more I think about meetings the less I want to think. Hopefully the new name will last a few years, and then perhaps BBC management can go ahead and arrange to have a meeting about considering the update of their antiquated delivery methods – perhaps they’ve already started as I hear they’ve finally dropped RealAudio (the web’s first big audio technology). Speaking of delivery methods, I discovered my first interesting BBC Radio 4 Extra offering over on RadioArchive.cc. RA.cc is my favourite site for public radio, its chock full of great taxpayer funded programming. The site is extremely well organized and make even people who are wary of the word “torrent” comfortable with the technology. Files are, naturally, in the MP3 format, and when well seeded, a program the size of Topkapi will take only about TEN minutes to download. That’s service folks! 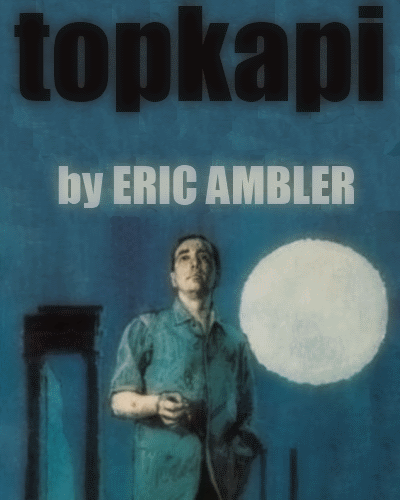 Topkapi, aka The Light Of Day, is a 1962 novel Eric Ambler. I’d heard about it – but until it showed up on RadioArchive.cc I never even thought to investigate it. 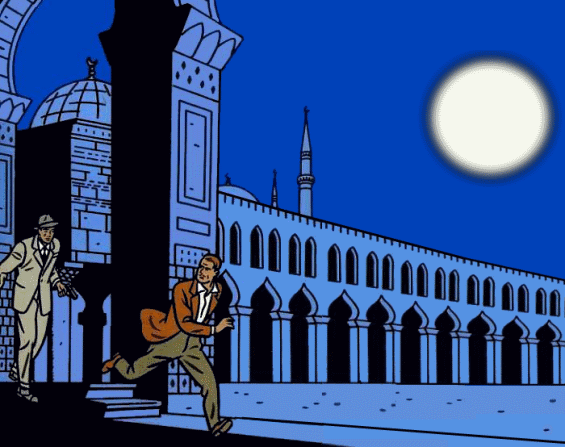 Well, after investigating it turns out that The Light Of Day was an Edgar Award winning novel, 1964, and has a fair cachet in espionage and crime fiction circles. The name change, for this reading, was likely done to remind BBC listeners of the movie – Topkapi is pretty famous, the Ottoman Sultans used it as their personal residence as well as an “impregnable fortress” that housed its famous seraglio/harem. I can’t say how much of the novel was excised for this abridgement, but I can say the novel definitely works as a quick listen. 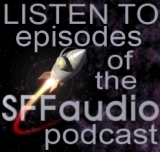 There are some unnecessary sound effects added, but when they show up they don’t overwhelm the text. The story is told in first person, by the clever, but unlucky anti-hero. David Westhead, the reader, is truly excellent in performing the lead character. He’s got a wonderfully subdued humor, and the voice and accent work he provides for the man supporting characters adds a lot of color. Small time operator Arthur Abdel Simpson is an illegitimate stateless half British half Egyptian pimp and pornographer. He makes his living fleecing tourists in Athens, Greece. When he picks up a likely looking pigeon at the airport he soon discovers that he’s the one in trouble. He’s then blackmailed into driving a car to Istanbul. 2/6. Arthur Simpson is interrogated by Turkish security for unintentional arms smuggling. 3/6. Arthur is now seconded to Turkish security. He also has to work at the suspect’s villa. 4/6. Unwilling agent Simpson watches a group of ‘tourists’, while he works as their driver. 5/6. Arthur Simpson witnesses a vicious knife fight and waits for news of Fischer. 6/6. Arthur Simpson is still on the roof. He has just reluctantly robbed the Treasury. I’ll try to find a copy of the film itself, and maybe see if its anything like the audiobook.